Children of the World reflects unity and humanity, values I believe should exist in all aspects of our lives. This image was taken in the summer of 2017 in Orlando, Florida, during a time when global tensions were boiling high due to racist, religious and sexist matters. The writing itself states that no matter who an individual may be, they have the right to be unified as part of the greater global community. 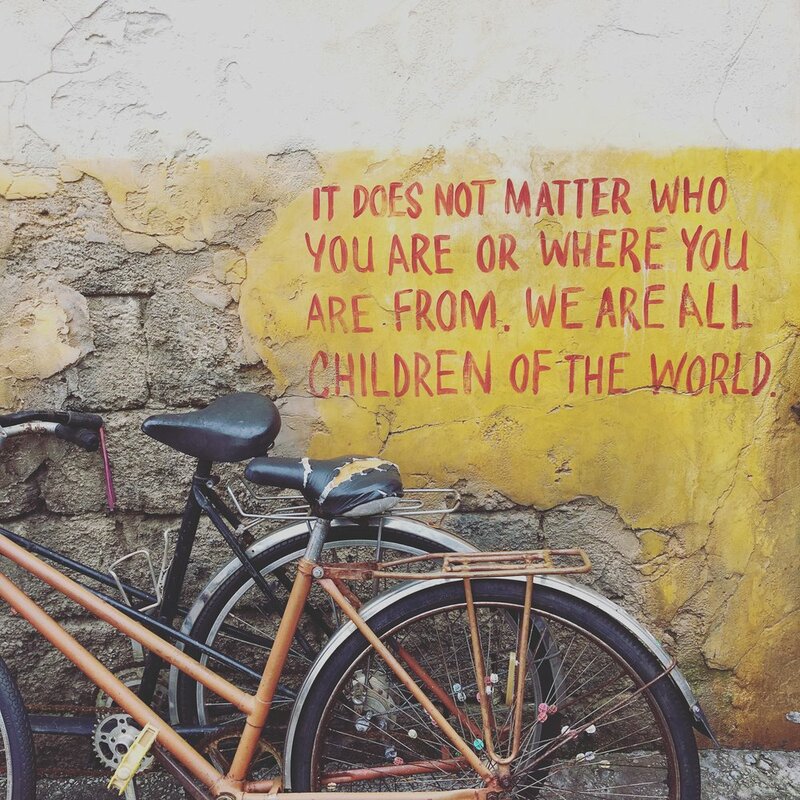 I took this photograph knowing that our world was divided in many ways, and whilst being unique is one value I also stand strongly by, I believe we must all still cite what was written on that wall: We are all children of the world.